Sears offers a full line of ENERGY STAR® rated Carrier®and exclusive Kenmore® heating and air conditioning systems. And, the Sears Price Match Guarantee^, ensures you get the best deal in your area, guaranteed. We promise Worry-Free Performance of our products with Manufacturer-Backed Installation Warranties and Sears Satisfaction Guarantee^^. 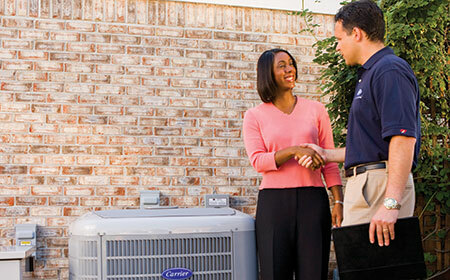 Save $325 on new HVAC purchase of $1,500 or more. Offer expires 5/4/19. Not valid on prior sales or in combination with any other offer. Purchase requirement before taxes and after other discounts and must be made in a single transaction. ^^See our Satisfaction Guarantee for details.